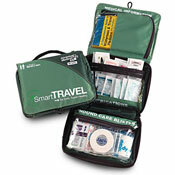 Travel accessories can make your travelling easier, more enjoyable or even both. Some accessories are necessary, like luggage tags. Others are highly preferable, like luggage locks. Some are good to have, like luggage scale and packing organizers, while some are just nice to have, e.g. noise cancelling headphones. 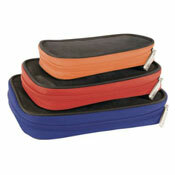 Luggage accessories help you to get the most out of your bag. Luggage security is something all travelers should take seriously. Always use luggage tags and locks but the best luggage locks are TSA approved, i.e. allowing US authorities to access your bag without damaging it. You can also get anti-theft backpack and bag protector to cover and protect variety of bags from tampering and theft, as well as other clever luggage security products to keep your luggage safe. Luggage scales can save you money, as it can be very expensive to exceed the airlines luggage allowance. 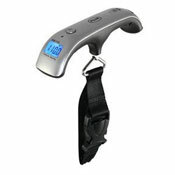 There are many types of portable luggage scales available, most of them are digital, i.e. for more accurate reading. The best luggage scales have easy to read display window, good grip, and strong strap rather than hook (as not allowed in hand luggage). Packing organizers allow you to make better use of the limited space in your bag and help you to stay organized when packing, as well as while on the road. The different travel organizers serve different purpose. There are packing cubes, packing folders, packing sacs, shoe bags, gadget cases, toiletry kits, cosmetic bags, medicine cases, travel bottles, jewelry cases, tie holders, and compression bags. Antitheft bags are designed to minimize the risk of your belongings being stolen. 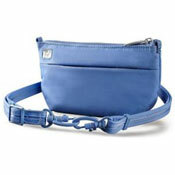 In this section, you find discreet bags, RFID blocking bags and wallets, waterproof bags, etc. All designed to allow you to carry your valuables safely with you. We recommend checking out Pacsafe excellent collection of stylish antitheft products. 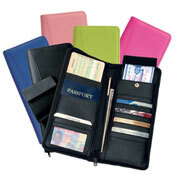 Passport organizers help you to keep your travel documents organized. Passport covers come in all shapes and sizes but the best one allow you to keep all your travel documents safe in one place. We never travel without our passport cover. Cosmetic bags or toiletry kit protects your vulnerable beauty products. If you are travelling with carry-on bag only, then your toiletries must be in the right size containers. Cosmetic bags come in all shape and sizes. Practical features include number of compartments and zipped pockets, easy to wipe water resistant material, convenient handle, and are easy to hang up if preferred. Health and hygiene includes various innovative products that will help you to stay clean and healthy on your travels. Here you can find foot rests, compressions socks, first aid kit, sleeping masks, emergency blanket, insulin cooling case, seat cushions, umbrellas, first aid kit, pill organizer, trekking poles, neck pillow, travel electric toothbrush and so much more. In-flight comfort products make your travel more comfortable and enjoyable. Travel pillow, earplugs, and eye mask help you to arrive fresher at your travel destination. Inflatable travel footrest is great travel companions on any flight, long or short and flight socks reduce the risk of getting DVT… just to mention few of the great travel comfort products on offer. Portable electronics includes practical items required when travelling with electronics, like international adaptors and chargers. You will also find iPad holders, jackets, pens, keyboards, etc. 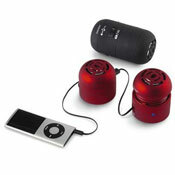 As well as portable mini speakers, world time alarm clock, camera lens for iPhones and more. 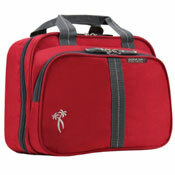 The range of innovative luggage and travel accessories is greater than most traveler realize. We hope you enjoy browsing through our carefully selected range of travel accessories. We are convinced you will find many products that will make your next trip more comfortable and / or enjoyable. And B for Bag retailer price comparison finds the best price for you.